When I was in Hong Kong a couple weeks ago, I had a shopping list for friends and family. I almost feel like I can’t go there without a list. Even when I lived there, I was constantly on the lookout for jewelry, mahjong sets, and clothing items folks back home asked me to buy for them. Over the past four years, I’ve been to Hong Kong four times and have mainly shopped for my kids. This last trip was no exception. 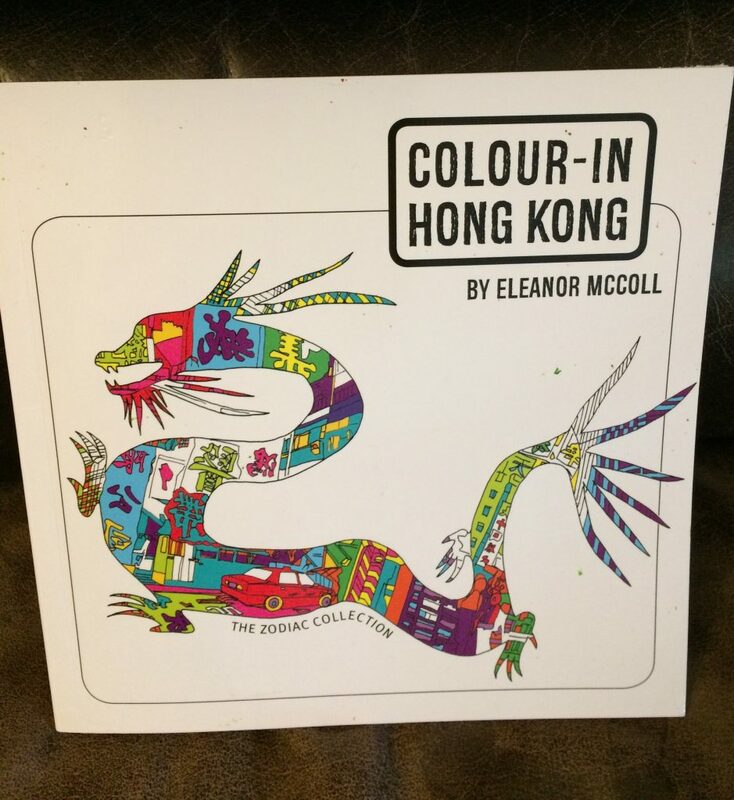 One of the top items to buy was Eleanor McColl’s new coloring book, Colour-In Hong Kong. I first learned of Eleanor’s book on Instagram, one of my favorite sources for all things Hong Kong. I met my friend and author Christina for tea at the Mandarin one afternoon and had a great time catching up about writing (we are represented by the same literary agent, the fabulous Carrie Pestritto). After tea, I headed over to Bookazine in Prince’s Building, a bookstore where I knew I could find Eleanor McColl’s book. 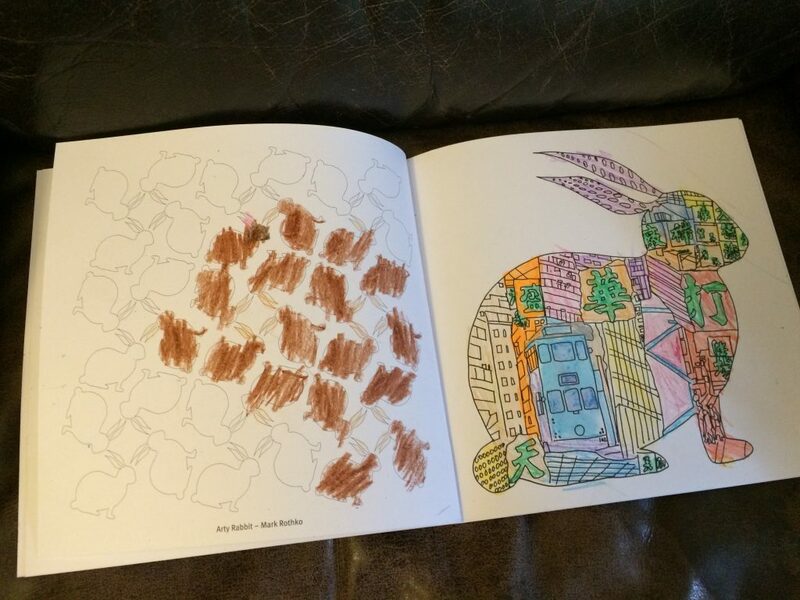 And just as I thought, I found Colour-In Hong Kong and quickly bought a copy. Navigating that part of Hong Kong wasn’t difficult for me since both the Mandarin and Prince’s Building have been around well before I first moved to Hong Kong in 1990. My kids just love the book. Although my daughter is the artist in the family, my youngest son was equally enthusiastic about it. Each spread features one of the twelve Chinese zodiac animals with a decidedly Hong Kong flavor. The kids can even practice their characters and knew the one on the bottom left–天 (day). For more about Eleanor McColl, check out her website here. You can follow her in Instagram here.